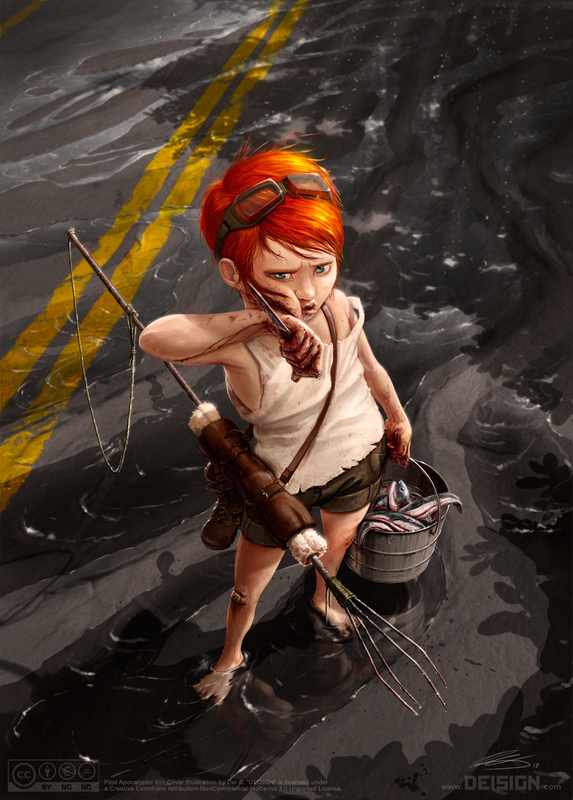 DEISIGN: "Post-Apocalyptic Girl" Cover Illustration for Xabiroi Magazine! 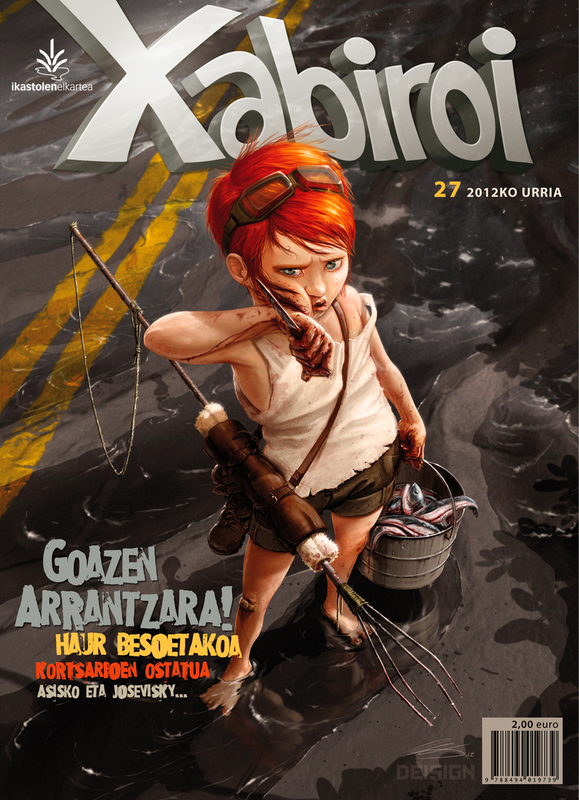 "Post-Apocalyptic Girl" Cover Illustration for Xabiroi Magazine! So here it is, as I announced to you guys on Facebook and Twitter, the new "Post-Apocalyptic Girl" cover illustration for Xabiroi Magazine's October issue. A little more subtle on the Post-Apocalyptic theme perhaps, but just as full of emotion for me, as the one I did a year ago. In fact, this image is a tribute to my beloved muse and personal heroine, Emma Nuttall: A heart of gold, and the most beautiful cluster of atoms in existence. I even got some pointers on color theory from her that I used on this piece. Who knew a de-saturated red could be a blue? Perceptual wizardry to me. For those of you who are interested in the process of creating an image like this, I am currently editing the recording of the entire process and will be making a timelapse video of it, as well as a commentated video/tutorial further down the road. If you'd like to make sure you don't miss either of those, make sure to follow DEISIGN on Facebook, on Twitter, or right here through Blogger/Google. You can also buy a high quality print of this image in a variety of formats over here. Bellow is the image as it will be published in October by Xabiroi Magazine. I hope you enjoyed this image/post and if you really did, you are more than welcome to share it! Final Cover by Xabiroi Magazine. Post Apocalyptic Girl Cover Illustration by DEISIGN is licensed under a Creative Commons Attribution-NonCommercial-NoDerivs 3.0 Unported License. El fondo es 3d dices? Muy buena Dei, me ha molado muchisimo y me dejo sin palabras. Me fije en el Time lapse del otro Post-apocalyptic kid que algunas texturas las cogiste de imágenes, en este caso has hecho lo mismo para ciertas texturas, cierto?? Buenísima la perspectiva tío, me molo mucho. Me alegro de que os haya gustado! No, no hay nada de 3D.. es todo Photoshop. Pero sí que he usado un par de texturas: Una de asfalto, aunque luego la desenfoqué mucho, y la otra de tela para las prendas. Awesome...It's got a natural, in the moment feeling to it, but at the same time very dynamic and refined. Cómo te has trabajado los charcos de agua,y los peces del cubo...Me encantan! un trabajo impresionante!!! no se si desconectar mi intuos o atarme a ella y no parar hasta conseguir algo la mitad de bueno!!!! ederra Dei! zorionak berriz ere! Ojalá nos veamos mañana jueves, muy buenos trabajos !! !